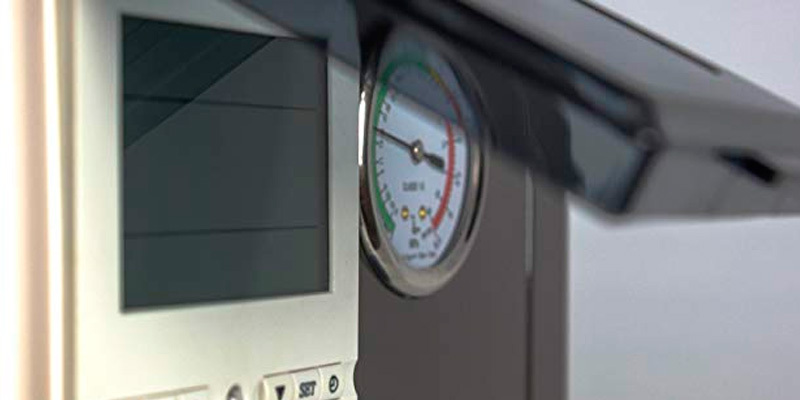 The Control Panel displays the current temperature of the water in the pool and allows you to set the desired heating temperature in increments of 1°F: It is worth noting that the thermostat is highly accurate, so there is virtually no risk of overheating the water. Gets very hot during operation. 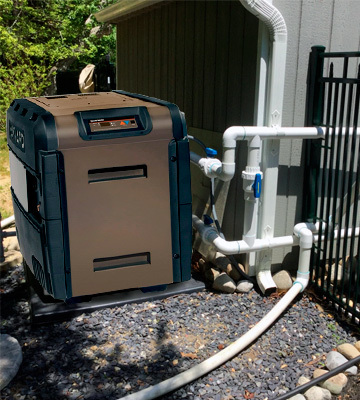 This model will be a real discovery for owners of large pools who wish to comfortably swim in it all year round: the highest power of 400,000 BTU / hour ensures fast water heating even during the cold season. 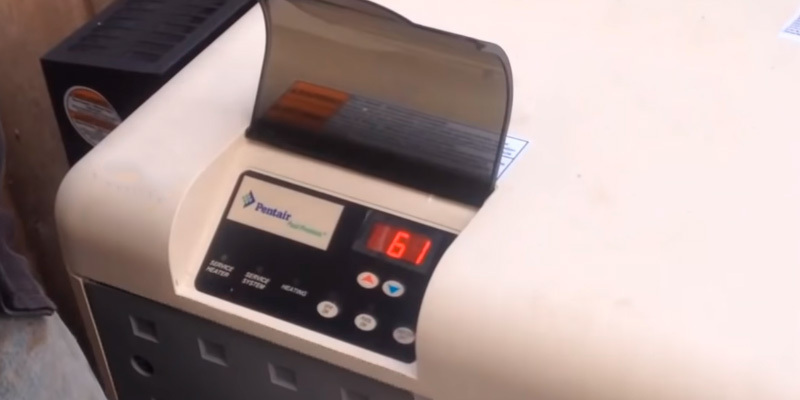 The case of the device is made of Dura-Glass™ - a patented material based on thermoplastic resin, which is resistant to heat and reliably protected from corrosion. Moreover, Dura-glass is quite easy to care for, so you can wipe it from dust with an ordinary damp cloth. Some users say quite noisy operation. 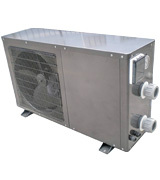 This gas heater should satisfy owners of swimming pools of 800-1000 sq. ft. In addition, the efficiency of the heat exchanger here reaches as much as 84%, making it one of the most efficient pool heaters out there. Unique polymer header and bypass valve design reduces the likelihood of internal components failing due to a sharp increase in pressure in the plumbing system or water hammer. Works best with a pressure relief valve (sold separately). Very large in comparison to models with similar power. 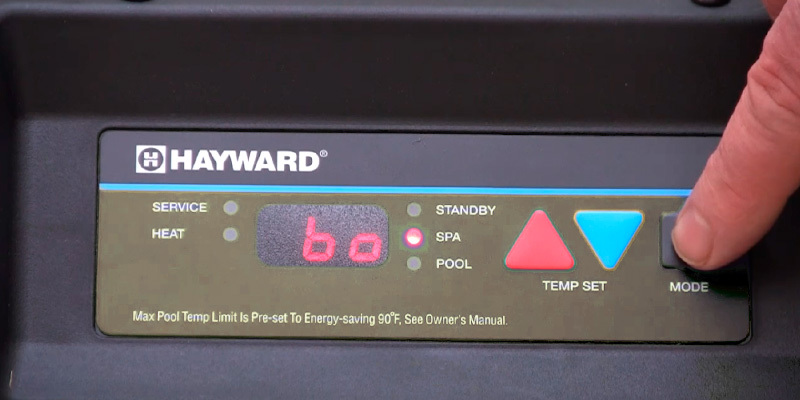 If you have a small swimming pool, and you want to heat the water in it with minimal energy costs, then we recommend considering this pool heater from Hayward. It also has no negative effects on the quality of water, so it will truly serve you for many years. The fan, designed for cooling the engine, boasts incredibly quiet operation - even at the maximum speed it does not exceed 58 dB. 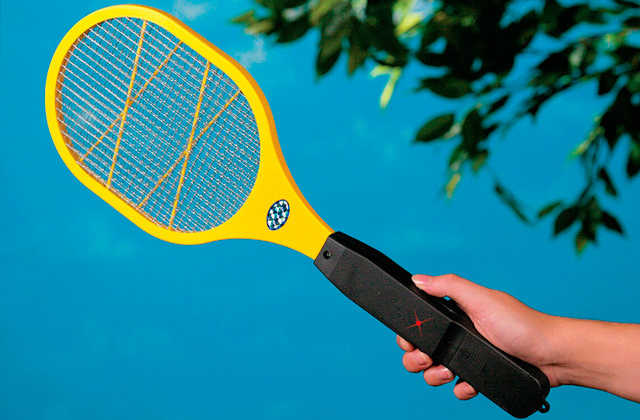 This is especially important if the heater is placed close to the pool or directly in or near the house. 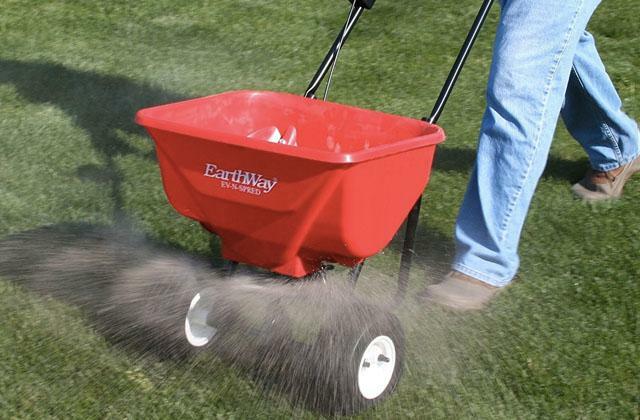 The outdoor unit is not resistant to rust (avoid installation in high humidity conditions). 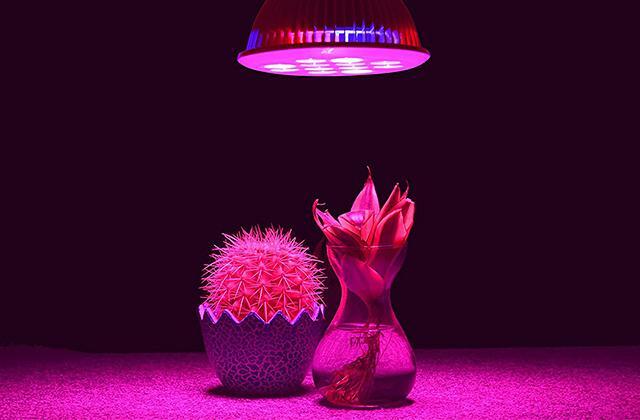 This electric heater will be especially relevant in homes where there is no gas supply, and besides, it does not require special skills to independently connect it to the plumbing system. The optimal solution for swimming pools with a total area of 500 sq. ft. The dimensions of the panel, along with the location and diameter of the pipes, make it compatible with most panels from other manufacturers. 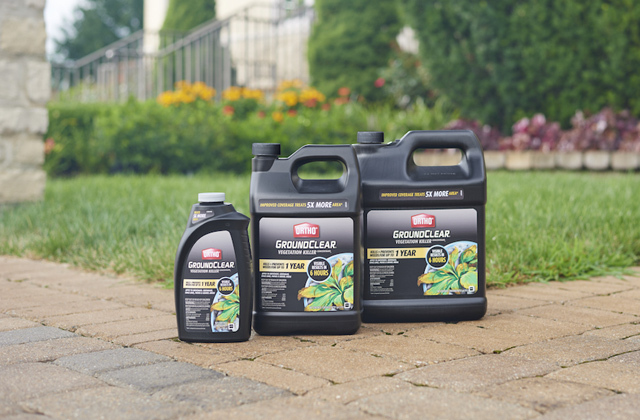 Manufactured with used pre-compounded resin - one of the most durable materials which can withstand even very hard water. 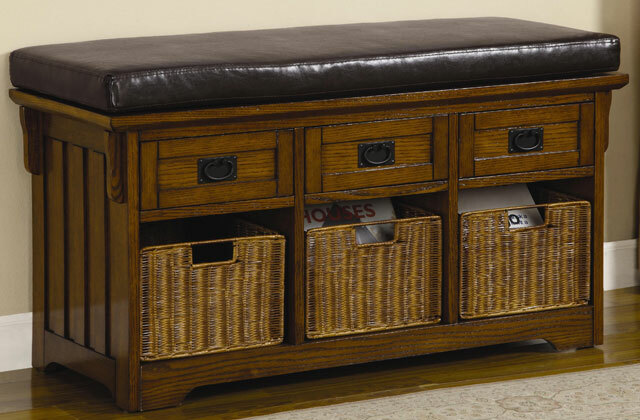 There is no mounting hardware - you need to buy separately, based on the placement conditions. 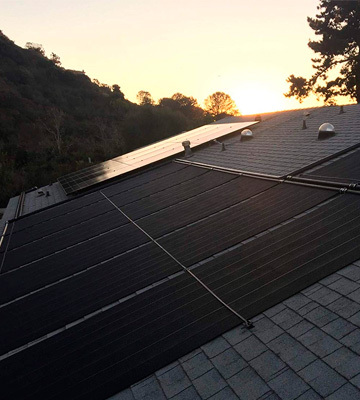 Solar water heaters are the most economical, the safest and most environmentally friendly devices because they do not need to be connected to either the power grid or the gas pipeline. Get the right amount of panels, based on the area of the pool, and you will achieve an incredibly rapid heating of the water. As much as everyone enjoys having a large pool, they can certainly have their drawbacks. Along with the difficulty in maintaining them, keeping them properly heated during cool weather can be a strain on almost any pool heater out there. 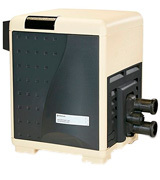 Fortunately, there does exist a pool heater that is well-adapted to keeping a large pool heated - the Pentair 460805 MasterTemp High Performance Pool Heater. This model is a gas-powered pool heater made especially for large pools, with a total heating power of up to 400,000 BTUs, which is more than enough for even the largest outdoor pool. 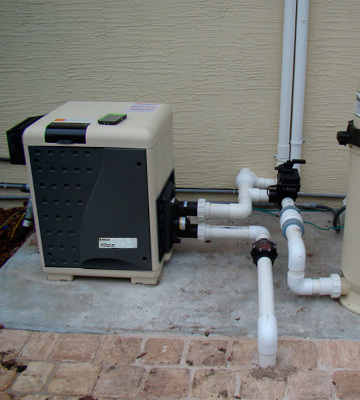 Although some people may have some qualms about using a gas-powered pool heater, this model makes every precaution to ensure that all concerns about gas-powered heaters are met. It features best in class energy efficiency to ensure that it isn't unnecessarily burning gas, and is also certified for low NOx emissions, and even performs above industry standards. Also, this heater is made to heat up fast, so there should be little wait time until the pool water is heated to the desired temperature. The rustproof exterior is able to withstand all kinds of weather and should help ensure a fully functional heater for years to come. 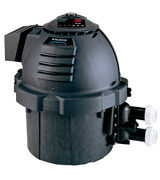 For anyone needing the most efficient pool heater for large pools, this model stands out as the top choice. A common complaint that is often made about outdoor pool heaters is that they typically can't withstand the elements, especially those that are in wet and cold climates. Regardless of how weather resistant they claim to be, there always comes some type of weather that they just can't handle. 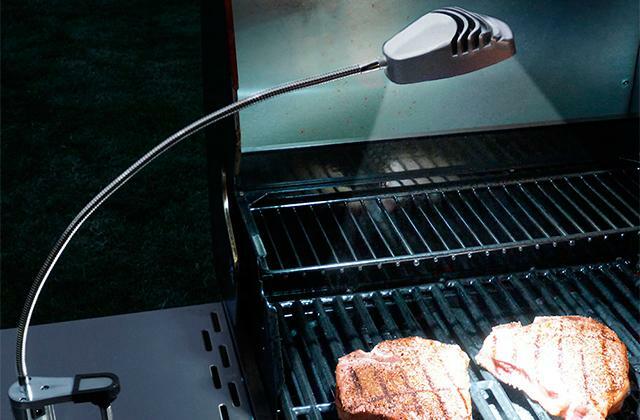 However, not all pool heaters are so susceptible to the elements. 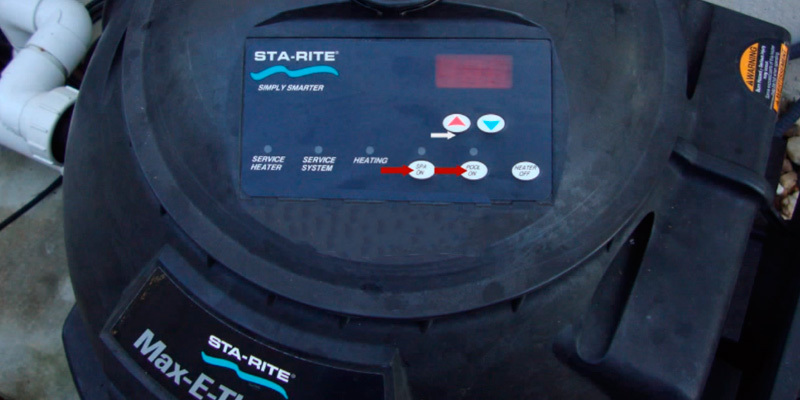 The Sta-Rite SR333NA Max-E-Therm Pool And Spa Heater is made especially for withstanding any weather thrown at it, and it does a quite admirable job in remaining durable and in top working condition year round. This outdoor swimming pool heater is built with a matte black Dura-Glass enclosure that is rust-proof and keeps the heater well protected in any type of weather, no matter how hot, cold, or wet. 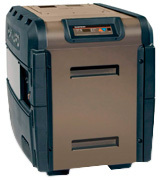 This highly durable heater is well suited for pools of almost any size, with a heating power of up to 333,000 BTUs. The compact design of this unit also makes it quite easy to fit in any corner or part of the property where it can be kept out of the way, which is a pleasant surprise compared to most other bulky pool heaters of this power. If these characteristics haven't persuaded you to take a good look at this heater, then perhaps this will: this model is rated as top in its class in energy efficiency, ensuring that you won't be stuck with large gas bills when heating your pool. Installing a pool or spa heater can sometimes be a challenge, especially for those who have only a limited amount of space next to their pool or spa. Large heaters can get in the way, or run the risk of being located too close to the water, which can carry its own risks with it. Having a small, versatile heater is what most people want, and that's exactly what the Hayward H150FDN Universal H-Series Pool and Spa Heater. This pool and spa heater features a compact design that makes it easy to fit in any corner or crevice where it can be kept out of the way. Anyone installing this heater will be well pleased with its design and should find it to be one of the easiest models to install. 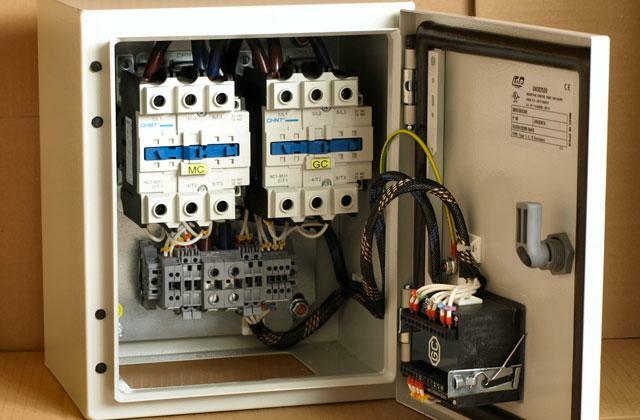 Along with its easy installation are plenty of features that add to its reliability and high efficiency. This heater features a standard cupro nickel heat exchanger that maximizes the heating efficiency, and the patented polymer header and bypass valve also offer the upmost in reliability. This unit was also designed to meet or exceed air quality emission standards with its low NOx emissions, keeping it environmentally friendly. 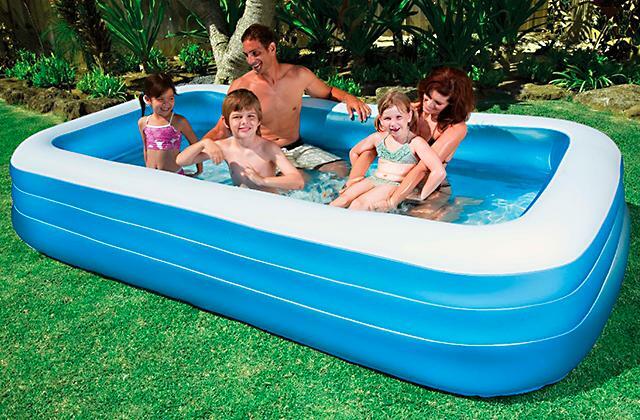 Anyone in need of a pool heater that is both versatile and reliable will find much to like with this model. When people think of electric pool heaters, they usually have several concerns, the top ones being that they are underpowered while also consume too much electricity. This has been a common complaint about electric pool heaters in the past, and for good reason, but thankfully not all models have those characteristics. 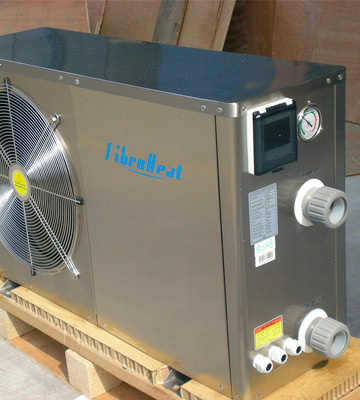 One such that defies the common complaint about electric pool heaters is the FibroPool FH055 Pool Heat Pump. 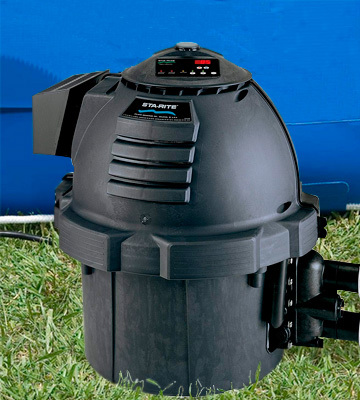 This pool heater is designed to work well with both above ground and in-ground pools with a volume of 14,000 gallons, or a surface area of up to 450 square feet. It also works with both fresh and salt water. 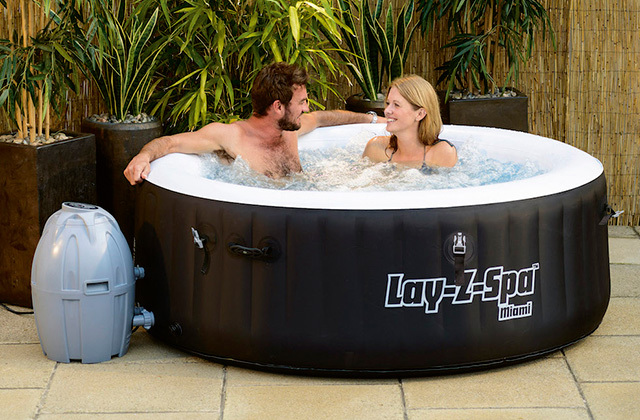 This makes it a quite powerful, especially for an electric heater, and versatile model suitable for most any types of pools. The secondary concern that pool owners have about electric heaters, namely that they consume too much electricity, is also easily addressed by this model. Requiring only 17 Amps of power, this model proves that electric heaters can be both powerful and friendly to your electric bill, with it even earning the US Dept of Energy Top level energy efficiency rating. What's more this heater is quite easy to install, with installation taking no more than 30 minutes. Anyone who wants or needs an electric pool heater that defies the old preconceptions about them will be sure to love this model. Many pool owners would certainly love to have a pool warmer or heater, but the added expenses associated with most of them can be quite prohibitive. Both gas and electric heaters tend to be pricey, and that's not to mention the gas or electricity costs associated with operating them. 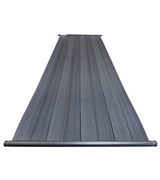 The perfect solution to these concerns, of course, is to use a solar powered pool heater, such as the SolarPoolSupply 4'x12', 2" Header Solar Pool Heater. This solar powered heater is quite affordable, and is able to sufficiently heat small to medium sized pools. What's more, there are virtually no maintenance or operational costs associated with it, as it performs its heating entirely by solar power. 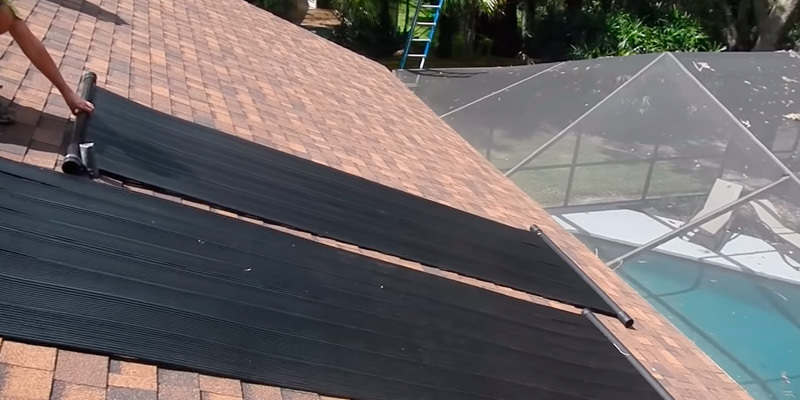 This model is quite easy to install, as the solar panels can be easily placed on the roof of any home or pool house, and it can be connected to your existing pump and filtration system without any problems. The heating efficiency of this model is also quite good, and what's more, it can be aided by adding more solar panels to the system, increasing the amount of water that is heated. Those who would love to extend their swimming season at a very affordable cost should be quite happy with this solar powered pool heating system. Anyone who owns a pool can tell you how much of the year that their pool is actually usable. 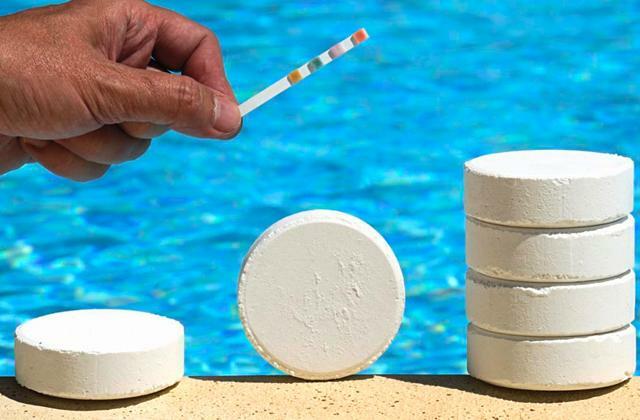 For most people in warm climates, it can be usable for up to half a year or even longer, but for those who live in cooler areas, the amount of time that a pool is usable can be measured sometimes in just a matter of weeks. As pools tend to be expensive just by themselves, it is simply beyond most people's means to have their own indoor pool, so the best option for them is to have a pool heater. Pools heaters are just what they seem to be - devices for heating the water in a pool. Of course, not all pool heaters are the same, as there are a number of different types of heaters. Many tend to use natural gas, while others are electric, and some are even powered by solar energy. Which one of these you choose is entirely up to you, although for those with larger pools, gas heaters tend to have the best results. What all of the types have in common, though, is the fact that they can greatly extend pool season for their owners, which is sure to delight anyone who wishes they could use their pool in cooler weather. 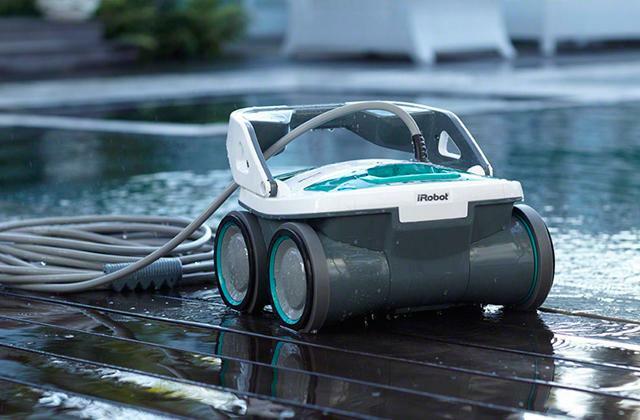 Along with finding the best pool heater, perhaps you would like to simplify your pool maintenance by using a robotic pool cleaner.